The past is full of treasures: bygone practices, like writing letters, engaging in rituals, living close to Mother Earth, cherishing family, consuming little... We can learn so much by looking to our ancestors. In fact, I suspect that a component of why a low-glycemic diet has worked so well for my health is ancestral; my Viking relatives ate very little grain, and virtually no processed grains, until quite recently in history. With the caveat that making nutritionally and ecologically sound culinary choices is more complicated than simply "eating like one's ancestors," it does instinctively make sense that a diet so nutritionally different from theirs -- one that utilized grains and other high-glycemic foods as core staples -- caused me to experience acne and other inflammation symptoms. With reverence for ancestral wisdom, I am grateful to have been born in an era where modern comfort foods like the all-American chocolate-chip cookie may be created without grains, dairy, eggs, or refined sweeteners. Each of my VLGL chocolate chunk cookies contains less than 1 gram of sugar (and this can be lower, depending on the type of chocolate chosen). Thanks to an affinity for dark chocolate with little added sugar (90% cacao is my go-to for snacking), I have not felt deprived of chocolate for a second since embracing a VLGL way of eating. 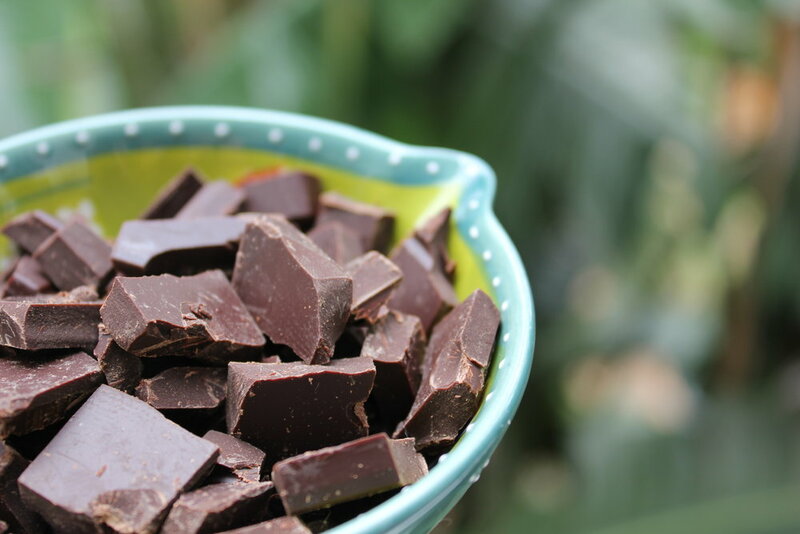 In fact, low-sugar, dairy-free chocolate can make for a wellness powerhouse with its antioxidants and energy-boosting properties. Due to my deep love of chocolate, I use hand-chopped chocolate chunks, rather than measly chips, for my cookie pleasures. Crafted of almond flour, packed with cacao and walnuts, sweetened with Mother Earth's stevia leaf, and sprinkled with a little sea salt, these cookies are all-natural, vegan, low-glycemic heaven.